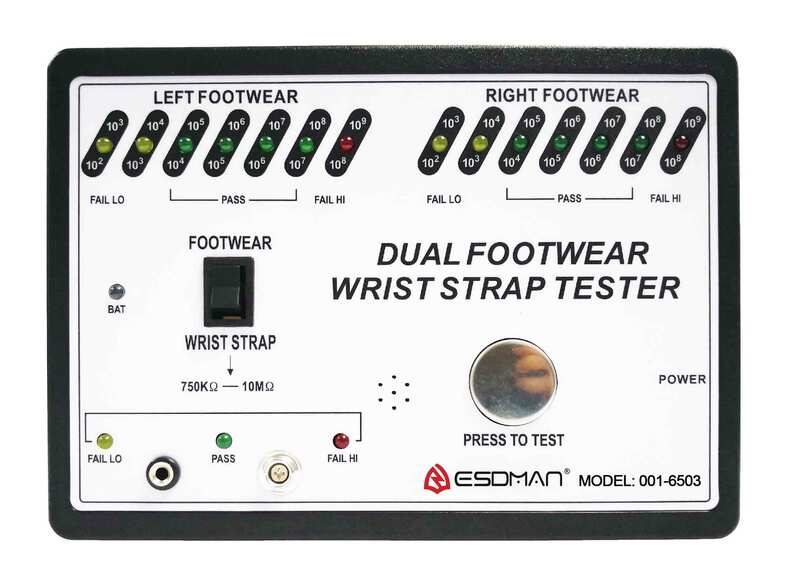 Wrist Strap and Footwear Tester_ESDMAN 001-6503 This item is produced according to ISO/CD8782-I Standard, test grounding resistance of anti-static shoe/heel grounders and wrist straps &with LED display and alarm, it is a measuring instrument that cannot be short of during static control. It adopts 9V battery for power supply, with low voltage but safe. It has alarming function when voltage shortage occurs,height can be adjusted freely. 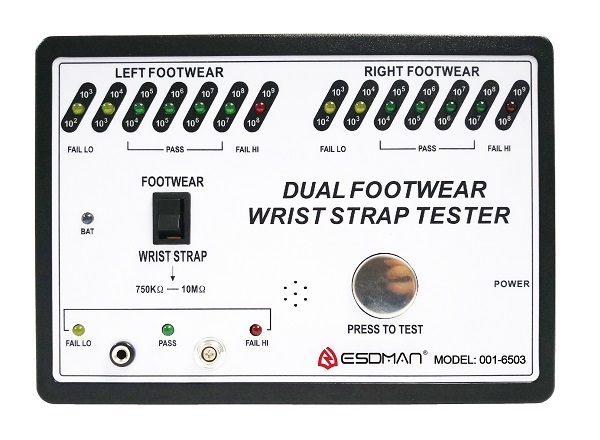 This item is produced according to ISO/CD8782-I Standard, test grounding resistance of anti-static shoe/heel grounders and wrist straps &with LED display and alarm, it is a measuring instrument that cannot be short of during static control. It adopts 9V battery for power supply, with low voltage but safe. It has alarming function when voltage shortage occurs,height can be adjusted freely. 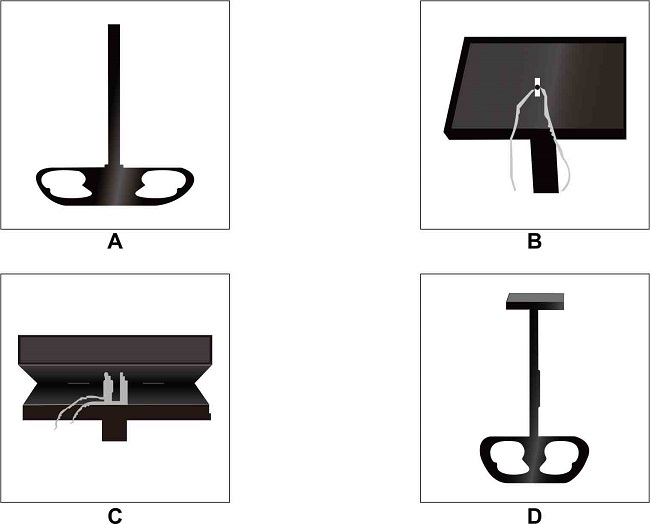 Push the option switch to “WRIST STRAP” on the right, put on wrist straps and then insert the plug or alligator clips into the socket (alligator clips pole) and press “PRESS TO TEST” key. When the RIGHT indicator light is on, it means the impedance of the wrist strap.